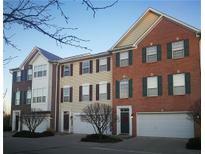 Below you can view all the condos for sale in the Townhomes At Hazel Dell subdivision located in Carmel Indiana. Listings in Townhomes At Hazel Dell are updated daily from data we receive from the Indianapolis multiple listing service. To learn more about any of these condos or to receive custom notifications when a new property is listed for sale in Townhomes At Hazel Dell, give us a call at 317-218-4216. Don't dawdle; these upgrades at this price will move quick! MLS#21630376. F.C. Tucker Company. This townhome was a model and has a lot of upgrades and is one of the largest model in the neighborhood. MLS#21629320. Value Realty Services LLC. 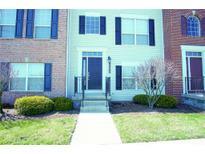 2 bedrooms, 2.5 baths, Great Room, Family Room, eat-in Kitchen, Bonus room and 2 car attaached garage MLS#21617910. Berkshire Hathaway Home.